Are you looking to send some creative and one of a kind Christmas and holiday cards to the people in your life that you find special? There are many card companies which are online that will help you create some of the most unique cards out there. Sending a holiday card to someone is a very meaningful way of saying that you love them, you think about them and wishing them happy holidays. This is the perfect time of the year for you to try out some of these wonderful online card companies. If you are looking for the best online sites then you have found the right place. Here are the top online card companies that help you create a wonderful card for your family and friends. 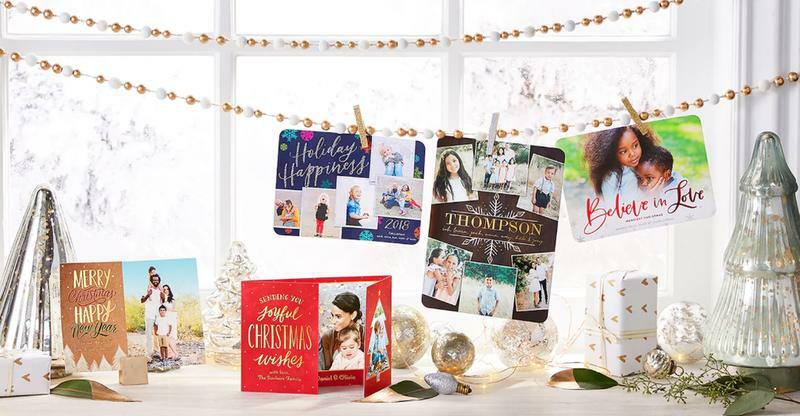 With Shutterfly you are not only able to making the best holiday cards but you are also able to make personalized photo albums, phone cases and home décor which gives you a whole lot of options to help you create the perfect gift. They offer you many templates for you to customize your holiday card and also allow you to make them even if you’re not putting your picture in it. Vistaprint is known for their work in making business cards for personal and small business use but they also offer a service which helps you create personalized greeting cards. With a large selection of 2,200 holiday template designs you could search through them by typing in keywords such as Christmas cards or New Year’s cards.5 You can customize the card in any way that you want by adding photos or text to the card and you can get a professional to make a template for you for $5. With Vistaprint you will be spending around $1 to $2 a card but if you are looking to get more they are offering 25% off of your order if you spend over $60. That could save you a lot of money if you have a lot of people to send holiday cards to. Another reputable online company of Tiny Prints which gives you the option to customize all types of greeting cards. Shutterfly ended up buying this company but they still offer you different templates and a different experience. There are many popular styles out there such as glitter cards, foil stamped cards, gatefold cards and many more that you could choose from. With Tiny Prints you are getting greeting cards that are made out of high quality materials and gives it a better presentation. Because they better quality cards they are little bit more expense but are worth the investment, they could cost you around $2.50 to $3.50 a card. But the more you buy the better the discount that you will get. If you are looking to save some money Tiny Prints is offering free shipping on orders over $10 for the month of December if you put promo code “TPSHIP”.6 Since Shutterfly owns Tiny Prints you are able to use certain promo codes with both sites make sure to take a look. While Minted does a lot more than just selling customizable greeting cards, they have a great selection of options for you to create the perfect greeting card. You are able to customize the greeting cards the way you want by adding any photos, designs or text to them. With Minted you have the option to thousands of templates and suggestions that will help you create an unforgettable Christmas card. If you are looking to create some of the best looking holiday greeting cards than take a look at these five websites and compare each of them to find the one that you like. 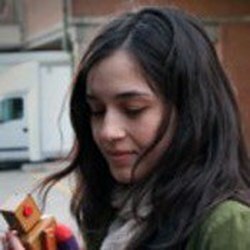 They are all great online card companies that will help you create the perfect card. Make sure to check for promotions and discounts before you make you purchases, starting searching today.